So I have had a lot of requests for meal ideas. Many people desire to eat healthy, but getting there can be difficult. Especially after a lifetime of poor eating habits. Let’s face it-it is so easy to eat unhealthy. Everything is already processed, wrapped, and convenient to take into the car with you on the way to work. The problem is that foods that are packaged rarely fuel your body. If you didn’t know that a bad hair day starts with the wrong shampoo-it does! Blame it on the product. If you’re using hydrating shampoo and you have fine hair, guess what? You can kiss volume goodbye. If you’re using a refining or smoothing shampoo when you’re hair is curly AND you wear it curly, guess what? You’re curls aren’t going to be as gorgeous as they would be if you were using a moisturizing or curl enhancing product. Why am I talking about hair? I’m a hair stylist-you will have to learn to deal with my rants:) However, this also relates to your life. If you are beginning your day with the wrong foods and the wrong sequence of what you put into your body, your day is going to reflect that. If you drink coffee first thing in the morning, expect to not have an appetite and don’t be surprised if you get headaches. Food is fuel. There is a benefit in enjoying what you eat, but if you can learn to view it as something that will affect you both short and long term, you will change your life. Begin your day immediately drinking 8-16 ounces of water. Your body needs that hydration after a full night of sleep. Did you know that water reduces the acidity in your stomach? If you drink water first thing in the morning, you are helping to combat that wicked acid and helping eliminate the possibility of heartburn and indigestion. Drinking water also boosts your metabolism. When you don’t drink enough water, your metabolism will slow down to conserve energy. It has been scientifically proven that drinking water increases your ability to burn calories, especially during exercise. *Swap an english muffin for a whole grain english muffin. A great substitute for cream cheese or butter would be peanut butter and a banana. The combination of bananas and peanut butter are full of vitamins, minerals, and fiber. Word of caution- do not use more than the 2 TBS of peanut butter, especially if you are calorie counting. Unfortunately, this food is high in calories. Also, DO NOT buy the reduced fat peanut butter! The high fat content in p.b. is the good fats, the mono-unsaturated fat, which is great for your heart. The reduced fat brands remove the majority of these fats. *Hot oatmeal is a very filling option that offers fiber, protein, and endless options in changing it up when you’re bored. Add blueberries or raisins and toss in some flax seed. You will feel full longer, while lowering your cholesterol and helping to control your weight. *Greek yogurt is a great, quick, convenient food. Plain is best, but if you hate plain, go with vanilla. This is a great alternative to regular yogurt because it offers nearly twice the protein content and because of the way it is strained, it has no fat! It is also less likely to bother you if you are sensitive to dairy products. Load this breakfast food up with fresh fruit, flax seed, raw almonds, or raw walnuts. *Cottage Cheese is an amazing food. Not only for breakfast, but if you are really into snacking at night, try this as an alternative. I like to add a tablespoon of dark chocolate morsels. You get the chocolate fix, the antioxidants of the dark chocolate, and the benefits of the protein called “casein.” Casein is a protein found in cottage cheese that digests very slowly, causing you to feel full all night and makes you less likely to want to pig out in the morning. Back to breakfast, you can replace cheese in your eggs with cottage cheese. OR have a cup of lowfat or fat free cottage cheese and add fresh fruit, raw nuts, or even cherry tomatoes. It’s delicious, filling, and high in bone-building calcium, protein, and low in carbs, if that’s your issue. *Eggs! Eggs are so easy and get such a bad wrap for cholesterol Obviously, if you have high cholesterol, go for the egg whites. But if you don’t, egg yolks contain 7 different vitamins and are one of the handful of foods that actually have vitamin D naturally in it! Add some fresh salsa, cottage cheese, veggies, and you have a power meal that will make you feel strong and full. Don’t have time to cook an omelette? Mix eggs, thawed frozen spinach, diced canadion bacon, and low fat cheese, pour into a muffin tin, bake, then freeze in breakfast sized portions. Heat in the morning. There! No excuses! Now, after you’ve eaten, DRINK your coffee! A cup a day keeps type 2 diabetes away! Or helps to:) Try to keep it as close to its natural form as possible. Honey is a great sweetener instead of sugar. 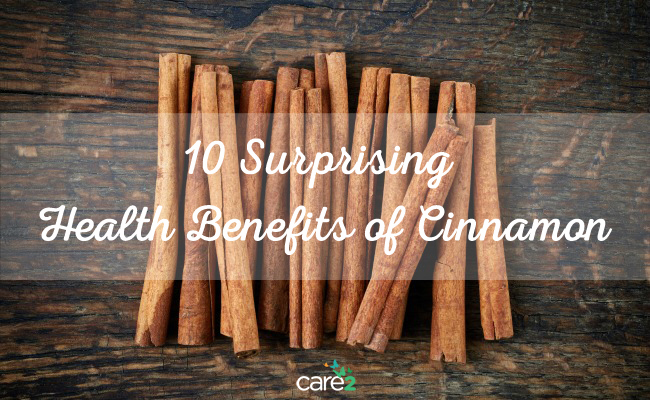 I like to add cinnamon to mine! It helps to stabilize your energy level and is great for your metabolism, just to name a few of its countless benefits. WOW! These are great – Thank you! They’re easy and great for you:) hope it helps!